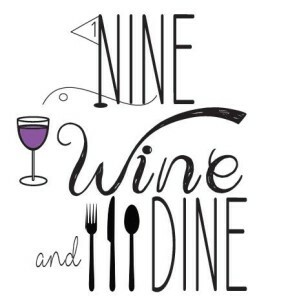 What is Nine, Wine and Dine? An exclusive women-only golf experience where you can enjoy a fall afternoon golfing nine (9) holes with your favorite group of ladies! Our 2nd annual event will offer you an opportunity to taste various wines and other fun beverages; engage in conversation during our brief networking reception; and peruse our fabulous raffles, all while supporting our cause of raising critical research funds in finding a cure to childhood cancer and blood disorders.